Ever wondered about the requirements for opening a dispensary? In a nutshell, this business is not for everybody. If you have a weak stomach, not for you. If you have a head ache problem, not for you. If you’re worried about spending time in jail, not for you. If you’re worried about loosing all of your life savings, not for you. If you’re worried about loosing your house, not for you. 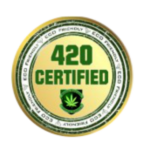 When you get over the initial scare that go along with running a marijuana business in California, you will succeed, and make money. Just like with everything else, there is a right and wrong way of operating a marijuana business. In California, the California Attorney General has created guidelines for medical marijuana patients who want to collectively or cooperatively cultivate their doctor recommended cannabis. The requirements for opening a dispensary are very clear. Unfortunately, no marijuana business person is following any of the requirements for opening a dispensary. That is what is holding our industry back in California, while other states grow and pass us up. 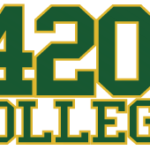 At 420 College seminars, we go over all of the requirements for opening a dispensary in detail. And the very 1st rule to operating a dispensary is; DO NOT CALL YOUR BUSINESS A DISPENSARY. The California Attorney General has created rules and he explains that “dispensaries” are illegal and the only way to legally distribute marijuana through a retail storefront is to do it as a collective or a cooperative. And individuals operating dispensaries are subject to arrest and criminal prosecution. Come to learn requirements for opening a dispensary, and more at our next 2 Day event, click here to read more.